These abstracts were gleaned from the earliest newspapers of Frederick and Hagerstown, Maryland. Vital records; legal notices; property sales; runaway wives, apprentices and slaves; and local events are preserved on these pages. These abstracts also contain names of persons in Western Maryland and adjoining parts of Virginia and Pennsylvania. 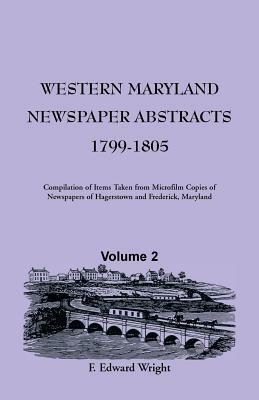 Description: These abstracts were gleaned from the earliest newspapers of Frederick and Hagerstown, Maryland. Vital records; legal notices; property sales; runaway wives, apprentices and slaves; and local events are preserved on these pages. These abstracts also contain names of persons in Western Maryland and adjoining parts of Virginia and Pennsylvania.